Ruxandra Sireteanu, a leading researcher in experimental and clinical visual neuroscience, died on September 1, 2008 in Frankfurt am Main, Germany. At the height of her academic and scientific career, shortly before her 63rd birthday, she unexpectedly passed away following brain trauma. Ruxandra Sireteanu is best known in the scientific community for her pioneering work on neural plasticity and the negative consequences of squinting leading to strabismic amblyopia. Ruxandra Sireteanu grew up in Romania, where she developed an early interest in science, foreign languages and cultures. Following her school education, Ruxandra enrolled at the University of Bucharest, where she studied physics in the years 1963-1968. In the Department of Biophysics she completed her thesis entitled "Theoretical and Experimental Aspects of the Resting Membrane Potential". Ruxandra remained at the same University, working over the next 4 years as a research scientist. In 1972 she moved to the renowned Laboratorio di Neurofisiologia del CNR in Pisa, Italy, to the laboratory of Lamberto Maffei, where she worked together with Adriana Fiorentini, Donatella Spinelli und Silvia Bisti. She received her doctoral degree in biophysics from the Scuola Normale Superiore in the year 1976 with the thesis entitled "Contributions to the Study of the Visual Function, using Spatially Periodical Stimuli ". In the same year she took up a postdoctoral research fellowship at the University of Ulm in Germany and was afterwards at the Institut d'Anatomie, University of Lausanne, Switzerland. Between the years 1978-1984 Ruxandra worked at the Max-Planck Institute for Psychiatry in Munich in the group of Wolf Singer. In 1983 she was nominated for the position of Associate Professor (tenured) at the School of Optometry, University of California, Berkeley (USA). Ruxandra was afterwards promoted to Group Leader at the Max-Planck Institute for Brain Research in Frankfurt, where she collaborated with Singer and other leading neuroscientists. In 1987 Ruxandra was nominated for the Greeman-Petty Professor (endowed chair) at the School of Optometry, Houston, Texas (USA). In 1990 she was awarded the Venia legendi for Zoology at the Johannes-Gutenberg University, Mainz, for her postdoctoral thesis (Habilitation) entitled "Development and Plasticity of Visual Functions: Psychophysical, Electrophysiological and Clinical Studies". In the years 1995-1997 Ruxandra Sireteanu taught courses in physiological psychology as an adjunct faculty member in Frankfurt. In 1999 she accepted the newly founded chair in Biological Psychology at the University of Frankfurt am Main, Germany. In 2002 she further accepted the appointment as visiting scholar at Boston University (Department of Biomedical Engineering). During this period she continued to lead the psychophysics work group at the Max-Planck Institute for Brain Research in Frankfurt. She was chief editor of the journal Strabismus, co-editor of the journal Vision Research and guest editor of the journal Investigative Ophthalmology & Visual Science. Ruxandra was member of several academic societies, among which were the Association for Research in Vision and Ophthalmology (ARVO), the International Society for Infant Studies (ICIS) and the European Brain and Behaviour Society (EBBS). Her achievements in each of these functions were always marked by her enthusiasm and outstanding personal contributions. Ruxandra Sireteanu's research focussed on the human visual system, neural plasticity and amblyopia. She made pioneering contributions also on topics related to the neural basis of amblyopia and of binocular vision using functional MRI, on the development of the visual system in newborn infants, with an emphasis on changes occurring throughout the human lifespan. She was further interested in visual psychophysics in healthy observers, perceptual learning in adults and clinical neuropsychology. She published several book chapters and over sixty original research papers in leading international journals. She tirelessly presented her work and that of her students and associates at all of the leading conferences in the field of experimental and clinical vision research. Her publications on the perceptual consequences of amblyopia and strabismus remain among the most cited papers on this topic. 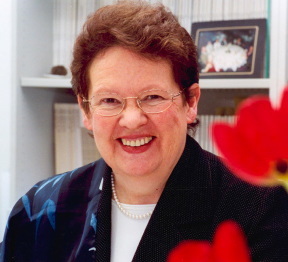 For her scientific achievements, she received awards from the Dr. Heinz und Helene Adam Foundation in 1991 and from the Bielschowsky Society for Research in Strabismus in 1994. Ruxandra was a gifted speaker, a steadfast educator and a caring laboratory head, devoted to excellence in science and creative interaction. Ruxandra Sireteanu's successful research activities have been unexpectedly ended by her premature and sudden death, which we are now left to mourn. Ruxandra was loved and admired by all those who had the opportunity to work with her. She is survived by her husband Dan H. Constantinescu and her two children, Sorin and Laura. We will hold Ruxandra fondly in our memories. Fronius, M., & Sireteanu, R. (1989). Monocular geometry is selectively distored in the central visual-field of strasbismic amblyopes. Investigative Ophthalmology & Visual Science , 30 (9), 2034-2044. Hoffmann, K., & Sireteanu, R. (1977). Interlaminar differences in effects of early and late monocular deprivation on visual-acuity of cells in lateral geniculate-nucleus of cat. Neuroscience letters , 5 (3-4), 171-175. Lagreze, W., & Sireteanu, R. (1991). 2-Dimensional spatial distortions in human strabismic amblyopia. Vision Research , 31 (7-8), 1271-1288. Rettenbach, R., Diller, G., & Sireteanu, R. (1999). Do deaf people see better? Texture segmentation and visual search compensate in adult but not in juvenile subjects. Journal of cognitive neuroscience , 11 (5), 560-583. Roelfsema, P., Konig, P., Engel, A., Sireteanu, R., & Singer, W. (1994). Reduced synchronization in the visual cortex of cats with strabismic smblyopia. European Journal of Neuroscience , 6 (11), 1645-1655. Sireteanu, R. (1982). Binocular vision in strabismic humans with alternating fixation. Vision research , 22 (8), 889-896. Sireteanu R, Bäumer CC, Iftime A. (2008) Temporal instability in amblyopic vision: relationship to a displacement map of visual space. Invest Ophthalmol Vis Sci. 49(9), 3940-54. Sireteanu, R., & Fronius, M. (1981). Naso-temporal asymmetries in human amblyopia - Consequence of long-term inter-ocular suppression. Vision research , 21 (7), 1055-1063. Sireteanu, R., & Hoffmann, K. (1979). Relative frequency and visual resolution of X-cell and Y-cell in the LGN of normal and monocularly deprived cats - interlaminar differences. Experimental Brain Research , 34 (3), 591-603. Sireteanu, R., & Maurer, D. (1982). The development of the kitten's visual-field. Vision research , 22 (9), 1105-1111. Sireteanu, R., & Rettenbach, R. (1995). Perceptual-learning in visual-search - Fast, enduring, but nonspecific. Vision research , 35 (14), 2037-2043. Sireteanu, R., & Rieth, C. (1992). Texture segregation in infants and children. Behavioural Brain Research , 49 (1), 133-139. Sireteanu, R., Fronius, M., & Singer, W. (1981). Binocular interaction in the peripheral visual-field of humans with strabismic and anisometropic amblyopia. Vision research , 21 (7), 1065-1074. Sireteanu, R., Lagreze, W., & Constantinescu, D. (1993). Distortions in 2-Dimensional visual space-perception in strabismic observers. Vision research , 33 (5-6), 677-690. To add an item to this page, post it to visionlist. You must be subscribed to post. Visit this site for up-to-date research on human vision, animal vision, visual perception, color vision, motion perception, binocular vision, stereo vision, depth perception, visual neuroscience, photoreceptors, cones, rods, receptors, retina, LGN, cortex, acuity, eyeglasses, laser eye surgery, laser vision correction, PRK, LASIK, custom wavefront LASIK, visual optics, visual cognition, visual memory, visual learning, vision and art, visual illusions, refraction, accommodation, wavefront aberrations, eye movements, saccades, eye-tracking, biological motion, eye hand coordination, vision and action, visual crowding, visual masking, spatial vision, temporal sensitivity, flicker, optometry, ophthalmology, texture perception, classification image, reverse correlation, spatial uncertainty, visual search visual noise, clinical vision science, 3D vision, attention, brain imaging, fMRI, VEP, mfVEP, contrast, face perception, genetics of vision, lightness, brightness, object recognition, shape perception, scene perception, and consciousness.